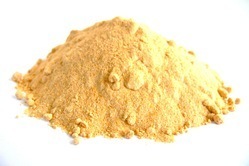 We are engage in supplying and exporting Carrot Powder. We are available with us a good quality carrot powder. Customers mostly preferred to purchase quality products, so we are engaged in providing best quality of Spray Dried Carrot Powder, are widely used as a food additive with wide range of application. With the help of nimble professionals’, we are active in providing an impeccable assortment of Carrot Powder to our respected patrons. Provided product is highly used in preparing varied dishes at hotels, homes restaurants and other places. Supreme quality ingredients are used by professionals for preparing these products. With sincerity and hard work of our professionals, we have carved a niche for ourselves in this domain by offering optimum quality Dehydrated Carrot Powder. This carrot is scrupulously processed by highly skilled professionals utilizing the latest equipment and superior production techniques, keeping in mind the food standards. 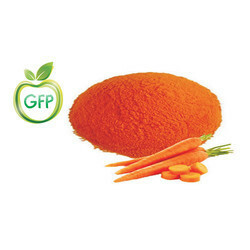 We are leading supplier and exporter of Carrot Powder. These Carrots are acquired from the reliable and certified vendors in the industry, to ensure their high-grade quality. Fresh Carrots contains high nutritional values. No other vegetable or fruit contains as much carotene as carrots, which the body converts to vitamin A which is very essential for our body. We are an eminent firm of a comprehensive assortment of Dehydrated Carrot Powder.